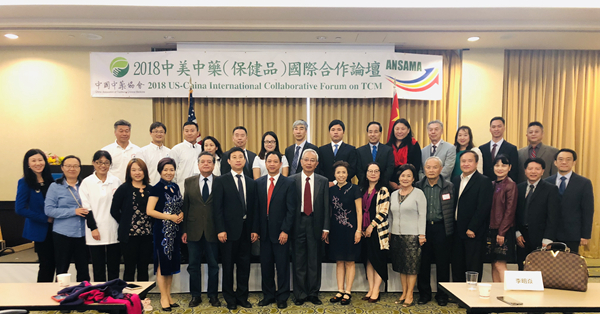 On November 4th, the 2018 US-China International Collaborative Forum on TCM was grandly launched in Los Angeles. The "US Cooperation Center of the International Multi-Center Cooperation Platform for TCM (Health Products) of China Association of Traditional Chinese Medicine" was proclaimed at the meeting. The programs on the "Guidelines for the Safe Use of Traditional Chinese Medicine" and the "Guidelines for Disease Prevention with Traditional Chinese Medicines and Health Products Based on Genetic Testing", undertaken by the US Cooperation Center, were also officially launched. 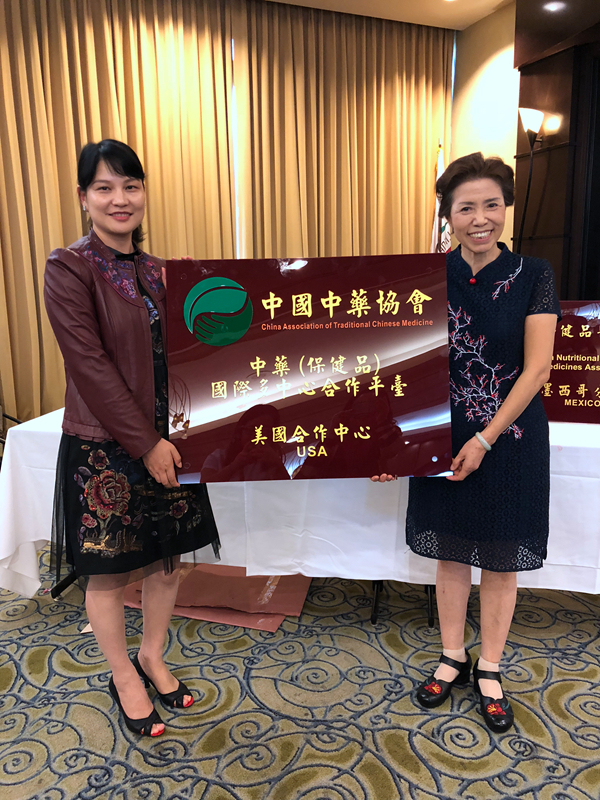 The forum was co-sponsored by China Association of Traditional Chinese Medicine, Beijing Jingcheng Traditional Chinese Medicine International Service Center and American Health Products Medicine Association, and was jointly organized by GANOHERB Group. 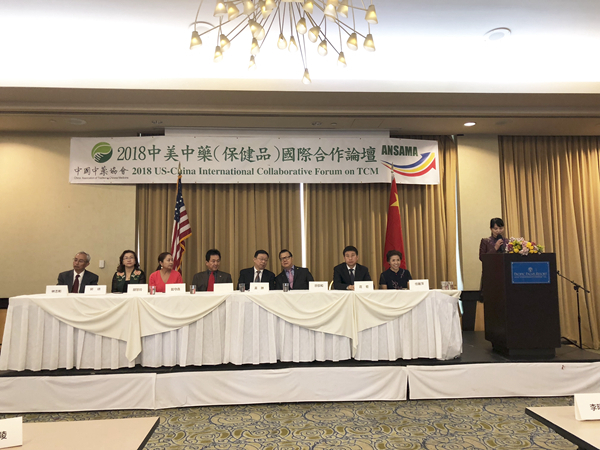 More than 100 representatives from the political circles of China and the US, the TCM industry, the business circles and the overseas Chinese communities participated in the forum. At the meeting, US Congressman Zhao Meixin said that in recent years, under the efforts of the American TCM industry and the Asian community, Traditional Chinese Medicine, including acupuncture needles, have gradually gained recognition of American society with numerous indisputable cases. She herself is willing to work with everyone to promote the integration of Traditional Chinese Medicine into the US medical system. Huang Lin, Deputy Director of the International Exchange Center of China Association of Traditional Chinese Medicine, said that she hopes to carry out in-depth exchanges with the American TCM industry institutions, universities, medical institutions, scientific research institutions and enterprise through this forum and explore the cooperation modes such as the cooperation in TCM education and scientific research, clinical applications, Chinese herbal medicine cultivation, trade in TCM health products and product registration. Ren Liping, President of the American Nutritional Supplements and Medicines Association and Professor of Nankai University, also said that the US Cooperation Center will integrate and utilize the advantages of both China and the United States to build a platform for modern scientific research on TCM health products. As a representative enterprise in the TCM industry, Zhang Hua, General Manager of GANOHERB Group, was invited to give a speech. She said that as a [millennial treasure" in the TCM culture,Ganoderma Lucidum is popular in the United States and became one of the first batches of traditional Chinese medicines included into the United States Pharmacopoeia in November 2010. 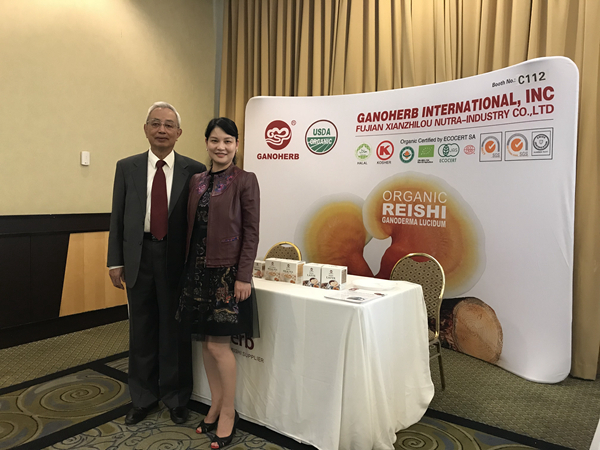 As the leading enterprise in the Ganoderma Industry, GANOHERB pioneered the [organic cultivation" of Ganoderma in northern Fujian Province in the early 1990s and produced the [standard Ganoderma medicinal materials" recognized by the TCM industry. GANOHERB will continue to follow the health cultivation concept of TCM, focus on the research and upgrading of Ganoderma products, and develop Ganoderma products of higher quality and efficacy for the world's consumers. In recent years, China has raised the development of TCM into a national strategy. As the benchmark enterprise of the Lingzhi health industry, GANOHERB has actively responded to the call of [Health China" national strategy, adhered to ensuring the product quality from the source, and innovated the whole industry chain model of Reishi Mushroom . GANOHERB has passed the organic certification of China, the United States, Japan and the EU for 12 consecutive years. In the respect of planting, producing, deep-processing and testing Reishi Mushroom, GANOHERB have core invention patents, its homemade Ganoderma lucidum spore oil, cell-wall broken Ganoderma lucidum spore powder and other organic Ganoderma lucidum products have been exported to more than 30 countries and regions. GANOHERB has become a "characteristic name card" of China's Lingzhi in the world. Over the years, GANOHERB has been focusing on the inheritance and innovation of Ganoderma culture. It took a lead in the drafting of the national standard for the [Ganoderma lucidum spore powder harvesting and processing technical specification" and the [Ganoderma lucidum extract international business standard" to help realize the industrialization, standardization and internationalization of Ganoderma in China. Meanwhile, GANOHERB has been devoted to promoting a more scientific and healthy lifestyle for all mankind with a vision to share Ganoderma health products with the world.